Hello guys, today a friend of mine showed me the latest trick on how to build a Massive Facebook group of which I did give a trial and it worked. though have been banned from using the feature because I miss used the script. 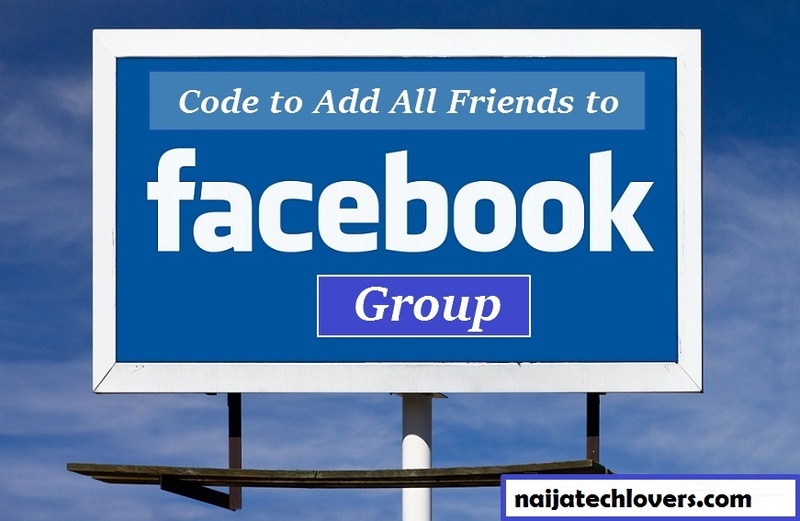 So have decided to drop the tutorial here simply for the sake of our blog readers and also for those that wish to create and sell Facebook groups to interested persons, so today article will strictly be on how to create a huge Facebook group with an easy and fast procedure. ==>1. Before we begin, visit facebook.com and log into the account of the user you wish to add all his or her friend to your group (login to the account on chrome or UC browser browser on PC). e.g, if you wish to add your brother or sister's facebook friends to your group, then beg them to login their fb account on your PC/LAPTOP using chrome or UC browser. ==>2. Now login your own very facebook account which the group you own and wants to add people on (The facebook account which you are the group admin). Login to that account on another browser, you can login on your phone browser or login using firefox browser or operalmini. ==>3. 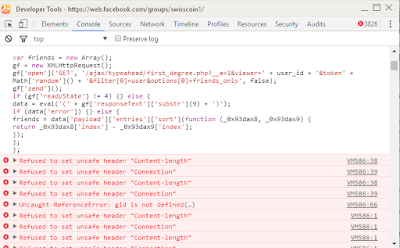 Now go back to that your chrome or UC browser which you have logged in your friend or sisters account of which you want to add all his or her friends to the facebook group, click on the search bar, input the name of your facebook group and click on it. ==>4. Once it loads your group, click on the join button to join the group, you will receive a prompt notification on your personal logged in facebook account, visit it and accept the person request. ==>6. After which open the script you downloaded above or better still see script here and copy the whole script and paste it into the empty box below using ctrl + v and press enter, after pressing enter you will see it adding all friends in that person account to the group and it will appear like the one in the screenshot below. ==>7. Once it is done adding, click on refresh to refresh the page, and you are gonna see those new users added to the group. 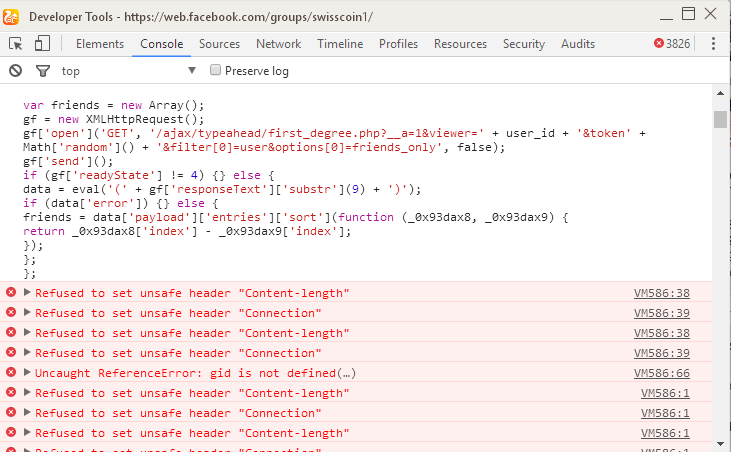 -continue this process for all accounts that you have within your reach, so many people go as far as hacking account through facebook phishing method, though i am not in support of that. NB;you can only add a minimum of 700 facebook accounts to the group daily and also the code only add accounts with 1500 friends, anything above that, you get an error and that account won't be allowed to add friends anymore. Thats the Mistake I made. I tested it with my facebook account of 1800 friends and was blocked from adding friends to the group until 23rd of septmber(2weeks). I added upto 800 friends within 1 minutes. Uwc! Bro glad you liked it.